OG Kush Auto from Humboldt are autoflower cannabis seeds which are very popular and they provide cannabis of high quality with Indica dominant genetics. Humboldt OG Kush Auto feminised cannabis seeds are suitable for an indoor and an outdoor grow, although an autoflower strain has very good properties for an outdoor grow. She grows with long internodes whereby all the buds get the optimal light and during her flowering the buds become beautiful compact and full, even those that grow at the bottom. Keep your eye on the growth of this plant, because she has the tend to stretch a lot. The taste of this autoflower Kush strain is described as fuel-like in combination with pepper and citrus-like tones. 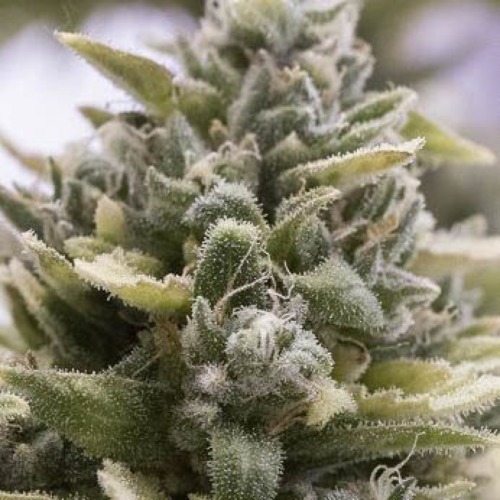 The weed of this plant has a high content of THC and the effect of smoking this cannabis is a powerful cerebral high followed by a powerful physically feeling that makes you relaxed. So ideal when you want to relax and hang an evening on the bench. Tell us and our customers what you think of the OG Kush Auto from Humboldt.